Amidst news that Google has adopted a new logo (and everything that comes along with that), Sundar Pichai let slip that Google is joining the likes of Microsoft, Amazon, Netflix, and others to form the Alliance for Open Media (AOM). The organization's goal is to collaborate on open and royalty-free digital formats for "next-generation ultra high definition media." In other words, it will develop new image, audio, and video codecs and container formats that are totally free for non-commercial and commercial use. The landscape for digital formats has been a mess for roughly three decades due to patent disputes and licensing terms that are both expensive and over-complicated. Google initially created the WebP and WebM formats in a bid to make alternatives available as possible replacements for popular formats like GIF and mpeg4. While both are supported by most web browsers and a few image editors, they have not achieved significant traction. It's not clear if Google will contribute these particular formats to the Alliance for Open Media, but it's likely they will become foundations, much like Google's SPDY protocol ultimately evolved into the HTTP/2 standard. 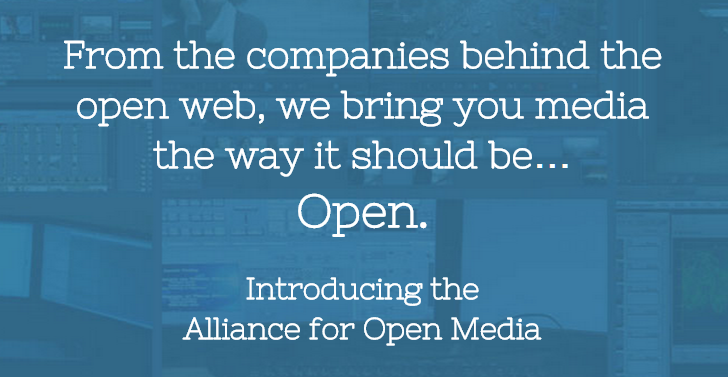 Google is one of seven founding members for the Alliance for Open Media. The full list includes: Amazon, Cisco, Google, Intel Corporation, Microsoft, Mozilla, and Netflix. It's hard not to notice some names are missing, like: Apple, Sony, Adobe, Facebook, Twitter, Roku, Vimeo, and Hulu, just to name a few. Many of these companies may not have been initially invited, but the website offers a sign-up form where aspiring members can get on the list for additional information and details for joining the alliance. With a good list of major corporations onboard, it won't be hard to get buy-in from plenty of others. This may finally be enough to push some of the old formats out and introduce more efficient and capable alternatives. Since these formats will not be encumbered by costly licensing fees, they will help to drive innovation in a lot of areas, particularly as streaming media becomes more prevalent.